Eddi & Ryce Photograph Second Life: What do 90,000 hits look like? I promise to stop doing this as soon as we hit 100,000 hits but that is the number of hits my partner Jago and my own blogs have had so far this year. 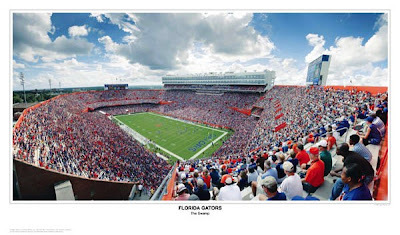 This is the University of Florida stadium known as "The Swamp". it seats 90,000. We have been seen in over 130 countries around the world to date.